Smoke a little? Smoke a lot? Somewhere in between? There are many types of smokers out there; persons who smoke only when they are drinking (and I don’t mean water) also known as the social smoker, secret smokers (don’t worry, I won’t tell anyone who you are,) the occasional smoker, the smoker who can’t finish reading this page without lighting up, you get the idea. So which category do you fall in? Keep reading and you will find a quit tip that suits your smoking habit. Let’s Get Personal – Why Do You Smoke? The technical response to why people smoke tobacco is because the tobacco plant has a chemical called nicotine. Nicotine is highly addictive and travels quickly to your brain when it is inhaled which creates a feeling of temporary relaxation and stress relief. Nicotine is also know for heightens your mood and increases your heart rate. You may be thinking to yourself, a natural substance that helps you relax and decreases stress? What’s so bad about that? Well, the feeling you experience when smoking is only temporary. After your body flushes the nicotine out of your system, you begin to yearn for another cigarette. Why? Because your body starts to go into withdrawal. It needs another cigarette to overcome these symptoms. This is the beginning of your cycle of dependency. At this point, you may decide to continue to smoke as it is the “easiest” way to handle life’s stress. Smokers typically find themselves smoking more when they are feeling anxious and need a fast and easy relief. However, in the long run, smoking brings about more stress when your health begins to deteriorate. Maybe your reason for smoking isn’t to help you relax. You may have picked up smoking as a way to meet new people or to fit in with a group of people that do smoke. Or maybe you only smoke when you are feeling lonely or want to boost your confidence. You may be amongst those that smoke simply to help you control your weight. Or maybe you smoke so that you have something to do with your hands. Some persons started to smoke because they grew up with parents or friends that smoked. Last but certainly not least, you may be the occasional smoker that needs to smoke when drinking coffee or alcohol. There are many other reasons why people smoke. The first step to quitting this habit is to conduct an honest self-examination and determine the real reason why you smoke. Go ahead, dig deep, I’ll wait for you… Ready? Let’s proceed to the different methods you can use to quit smoking. 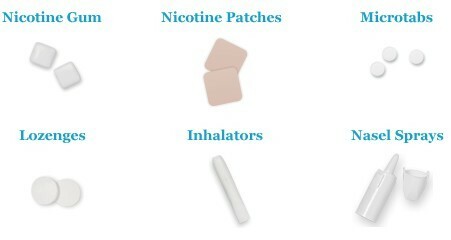 Quit Smoking Aids – Patches And Pills and Gums Oh My! There are so many stop smoking aids out there, how do you begin to choose? Let’s begin by making one thing clear: with many of these stop smoking aids, you CANNOT keep smoking or using other tobacco products. In order to receive the full benefit of any medicine, they have to be used correctly. They work by lessening nicotine cravings and by gradually decreasing the quantity of nicotine in your system. This will lower the side effects of nicotine withdrawal, most commonly headaches and irritability. There are mainly two types of medicines that can be used, nicotine and non-nicotine prescriptions. As I stressed in my previous discussion on quitting smoking if you are pregnant, before deciding on any medicines, please consult your doctor or nurse. They can assist in deciding if one of these medicines might help you. They may even decide to prescribe a combination of both nicotine and non-nicotine medicines. Nicotine Gum or Lozenges: These have a solid reputation for working successfully. You can buy the gum or lozenges in a drug store without a prescription. These can be taken or used every one to two hours during the day but should not be exceeded based on the instructions (read carefully.) The number of gum or lozenges you take will decrease over time and may be used for three months. Note that some drinks such as alcohol or coffee may make the medicine less effective. Nicotine Patch: There are different strengths of patches so right away you want to read the package to determine which strength patch to start with. This is based on your level of smoking. As you follow the recommended schedule on the package, you will gradually reduce the strength of the patch. You also don’t need a doctor’s prescription to buy this patch. These are also simple to use. They are placed on your chest or high on your arm and changed every 16 to 24 hours. The patches are waterproof so they do not need to be removed for swimming or showering. Nicotine Spray: A prescription from your doctor is needed to receive the nicotine spray but the directions are easy to follow. Apply the spray in your nose, one or two times per hour, during the day. You may need to the spray up to six months, but the use of it will decrease before or at the three-month mark. E-cigarettes: These look like cigarettes, but work differently. They are battery-operated and works by puffing on the mouthpiece of a cartridge. This causes a vaporizer to heat the liquid inside which contains nicotine, flavorings, and other chemicals. The heated liquid turns into vapor which you inhale. Not much is know about the health risks of using them. However, we do know that they contain nicotine, which is addictive, contain other likely chemicals, and the liquid in them can cause nicotine poisoning if someone drinks, smells, or touches it. Pills: As you already know, there are a ton of pills out there that help smokers to quit. I am not recommending any over the other as they all have the pros and cons. I will leave the exact non-nicotine pill you choose between you and your health care provider. Let me point out that there excellent brand name medicines out there but there are also excellent generic brands out there that really work. Let me give you a brief synopsis on how the pills work if you are leaning towards this avenue. Pills work by blocking the flow of chemicals to the part of your brain that makes you want to smoke. Unlike nicotine replacement medicines that start with a high dose and tapers down, you start out with a low dose on the pill and gradually increase to the full dose. Also, unlike the nicotine replacement medicines that requires you to stop smoking before using, you actually start taking the pills before you quit smoking. Note that it takes about a week for these medicines to work and takes between 7 to 12 weeks or longer to work or as your doctor recommends. Before stopping the pill completely, you should gradually decrease the dosage. As with any medication, prescribed or not, there are side effects. For a list of side effects for these aids, check out my previous post here on Tips on How to Quit Smoking – During Pregnancy. Angelica oil helps smokers with cravings. Although the cravings don’t completely stop, you can go longer without smoking after breathing in this oil. This is because the aroma of the Angelica Seed essential oil is grounding and balancing. It is also considered to be a restorative and strengthening essential oil. Clove oil can have similar effects as the Angelica oil on cravings. It also stimulates and energizes. Black Pepper was found to simulate the feeling of smoking and helps decrease cravings. Ylang Ylang oil is used to lessen tension and stress and bolsters a positive outlook. It also acts as an antidepressant, aphrodisiac, hypotensive, nervine, and sedative substance. As a result, it fights depression, anxiety, relaxes the body and lowers blood pressure. The above essential oils blends well with essential oils derived from bergamot, grapefruit, lavender, and sandalwood. The most convenient way to administer the essential oils for aromatherapy relief of these symptoms is a portable inhaler which can be used as soon as the cravings begin. When you feel the need to smoke, inhale deeply and wait a few minutes for the cravings to pass. Are you considering using one of the aromatherapy options? Check out the free PDF that helps you learn about the aromatic uses and benefits of essential oils. There are a few more natural ways you can try to quit smoking that I discussed on my last post found here. Feel free to check out this online store that not only sell the essential oils listed but also diffusers, portable inhalers and other natural recipes that you can try. Not only are there physical natural methods to help you quit smoking, but there are mental and emotional tools as well. For example, if you are a social smoker, don’t hang out at your usual smoking spots. Explain to your friends and family that smoke that you are in the process of quitting so that they will not smoke around you. If necessary, change your schedule or take your work breaks with persons that do not smoke. Plan ahead and be determined! You can also keep yourself distracted from your cravings by listening to calming music, replacing your smoking habits with healthier habits, avoiding all of your triggers (yes, that includes coffee and alcohol!) or even getting rid of the ashtrays in your car or home. You may or may not be familiar with the story of the turtle and the rabbit. 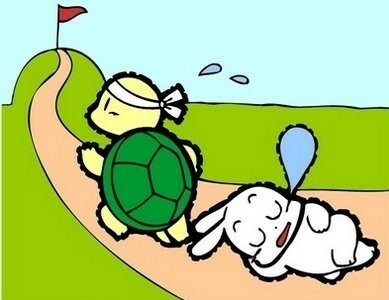 In a nutshell: the rabbit boasted about how quickly he could run, the turtle challenged the rabbit to a race and won. How? The rabbit became overconfident and took a nap halfway through the race. The turtle never gave up. It kept walking step by step until he overtook the rabbit and crossed the finish line first. My point? Slow and steady wins the race. You are not trying to beat anyone else, this battle is between you and you smoking habit. Take the time you need and the tools available (including me!) to help you win this race. Do not become overconfident and stop taking any of the nicotine or non-nicotine replacement medicines before directed because you feel you do not need it anymore. Stick with your regimen. 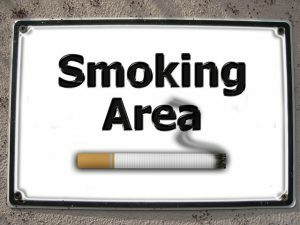 Even if you have stopped smoking, continue to stay away from areas and situations that may tempt you to start smoking again. And even if you relapse, retry the same avenue or try a different aid. Or consider combining a couple of the aids discussed. Just like that turtle, never quit. Well, yes I want to help you quit smoking, but never quit trying to stop if that is what you really want to do. Why Quit Smoking? Why Not? You now know how you can quit smoking but WHY should you quit smoking? The benefits of course! There are so many of them to choose from. Just think about the changes you will see in your body, your finances, your atmosphere and your self-esteem. You’ll improve the quality and length of your life and the lives of those around you. Firstly, have you ever calculated how much money you spend on your smoking habit? Take out your calculator, go ahead. Now put in the amount of money you spend on cigarettes every day and multiply that by 365. That’s a lot of money! Think of the other things you could be doing with your hard-earned money. The financial rewards alone may be enough to motivate you to quit. Secondly, quitting smoking improves your self-esteem and sense of accomplishment. When you learn new healthy habits to replace your unhealthy habits, you can celebrate this great achievement. You will be proud of the steps you are taking to create the life that you want. And as you change your smoking habits, you will also change your perception of yourself: being a healthier person in the long-term. You are the master of your life! Thirdly, when you quit smoking, you are taking charge of your social life. You now have the freedom to change the way people react to you. The annoyance when you leave coworkers, friends and family to step outside to smoke. The looks of distaste from people who smell the smoke when you come back inside. The grimace of your significant other when you go to kiss them. These are all things you can avoid, opening up more choices for your life. Fourthly, you can revel in the positive influences of your decision to quit smoking. You can be a good example for your children without the worry of them picking up the same unhealthy habit. You will also be helping the environment when you choose not to contribute to air pollution. Last but not least, the medical effects. I have touched on some of these in my previous post so I won’t get into too much detail however smoking leads to lung diseases including chronic obstructive pulmonary disease (COPD), which includes emphysema and chronic bronchitis. Cigarette smoking also causes most cases of lung cancer. According to the Centers for Disease Control and Prevention, people who smoke are 12 to 13 times more likely to die from COPD than nonsmokers. Don’t become another statistic. Remember, even if you do gain a couple pounds, keep in mind what you are doing not only for your health, but that of others. Keep working at it and you will achieve your goals! Do anything you want just by setting a goal — Achieve your dreams! Learn how with “Goals!” by Brian Tracy. Attention All Smokers: You Can Do It! I’ve given you a bundle of information. Now what are you going to do? Well, that’s up to you. Have you asked yourself yet why you smoke? How much money you spend annually on nicotine products? Have you scheduled your appointment with your health care physician to start one of the prescription aids? Have you started putting together your personal plan of action including when you will start, the healthy alternative you will choose and what you will do if you experience a setback? Have you started looking into the programs, apps, portable inhalers and essential oils? Whether you smoke once in a while or can’t go through an entire day without a cigarette or somewhere in between, know this: your reason has to be for YOU. You can’t fully commit and succeed for someone else. You have to make up your mind to want to quit first. Have you made up your mind to try to quit yet? Now is the best time to start! When you do, I’ll be right here to help you. Thank you for reading and let me know your opinions on the natural stop smoking tips below in the comments. Remember, quitting isn’t always a bad thing! I found this to be really helpful like Melissa I don’t smoke but I have A LOT of family members that do. My aunt is using the patches now in hopes of quitting and I never understood how can a “patch” help. I love how u have natural options because natural is always the best route to take. I will definitely make sure she reads up on this. Thanks! Thanks Nikki. I agree with you, we should always try to use natural products because they are the best and have less side effects than most options. I hope your aunt benefits from the tips! I don’t smoke, but have many family members that do. It is such a hard habit to quit! There are a lot of good tips and suggestions in this article, but I have not heard of using essential oils for quitting before! That is interesting, and I may be suggesting that to those I know who are trying hard to quit! Hi Melissa, I am so happy you found the suggestions interesting and useful. I am into the healthy lifestyle (as much as I can) and so most if not all my posts will include a natural alternative to break whatever habits people are struggling with. Thank you for reading! Sign me up for the freebies!